Partake in this free community breakfast and program on January 21 at 7AM located at First United Methodist Church, Duluth (The Coppertop) 230 E Skyline Pkwy Duluth, MN, United States, 55811. The Martin Luther King, Jr. Holiday Community Breakfast has been happening in Duluth since 2002. This breakfast is intended to bring the community together to honor Dr. King's life and to work towards fulfilling his vision. At our breakfast program in Duluth, we will have a welcome and blessing given by Pastor Jeanne Alexander, live stream the Minneapolis MLK, Jr. celebration featuring speakers and performers, and a freewill offering for St. Mark AME Church and the MLK Tribute Events. Please take part in our family oriented local program. 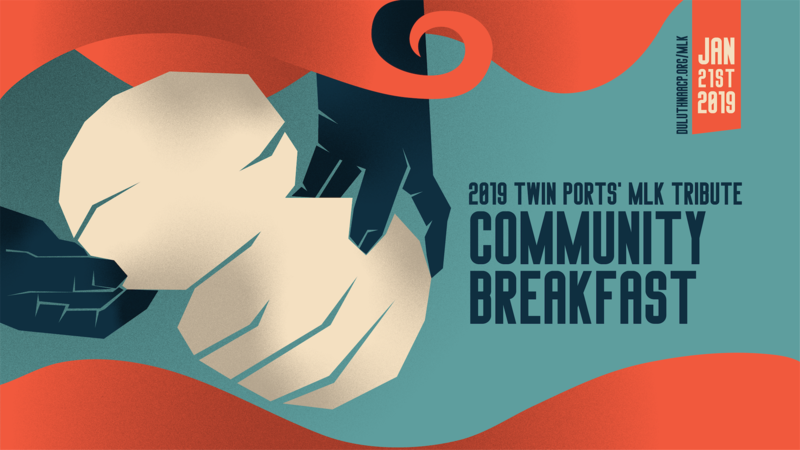 Eat a free, and hot breakfast, and build community connections. Food will be served by the African American Men’s Group. The meal will be provided, and is sponsored, by The Duluth Grill. The breakfast program is funded by the General Mills Community Foundation, with support from Interfaith Action of Greater St. Paul, previously St. Paul Area Council of Churches.